Well, the show has been printed, stamped, signed and now shipped. 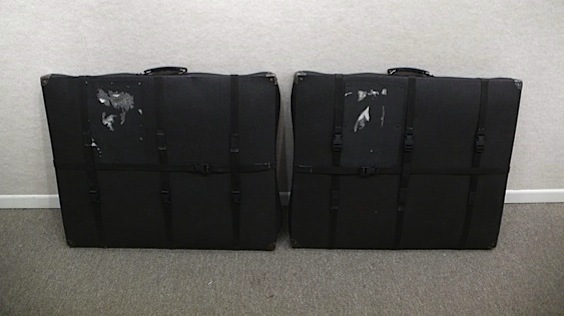 These two cases, each weighing just under 40lbs, are what I have to show for it all – about 100 three-colour gum dichromate prints. The next time I see them, they’ll be framed and hanging on the gallery walls. A quick panorama of the studio walls with myself, Cy and Bernie.